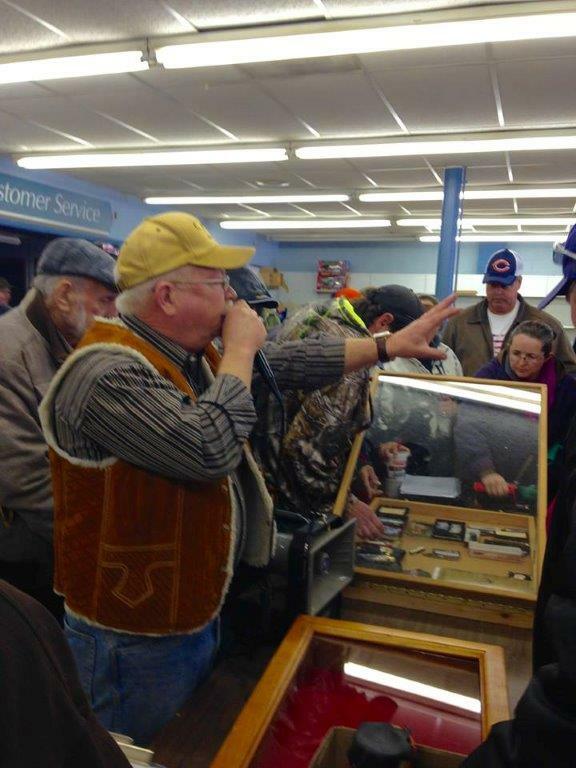 We work with groups to raise funds at live auctions. We have raised more than $3 million in the past 10 years for the select groups with which we work. We strongly prefer to become part of fund-raising committees so we can assist in organization, obtaining contributions, developing options to augment the live auction, and filling seats via appropriate target marketing. Good fundraising is 99% hard work behind the scenes for the 1% “live” entertainment, but we want the crowd to NOT see the 99% and to vividly remember the 1% show. When we’re involved from the word ‘go’, we want to make sure it works and works well. Contact us today at 309/558-8200 to see if we can help you with your fundraising efforts, from agriculture to black tie. We specialize in business liquidations and we work the auction business as a business. These events can be emotional for the seller and while we’re considerate of that, we also recognize liquidating a business is about maximizing the final sale of a major career investment. We work hard to conduct comprehensive inventories, put in hours of real-market value so we know what to expect, and we outwork our competition to put buyers in the seats that are excited to be in front of our inventory. Give us a call at 309/558-8200 to see if we’re the right fit for your final business liquidation enrichment, where we convert your assets into cash. FEBRUARY 17, 2018. 5 PM. IOWA FFA BLACK TIE/BLUE JACKET STATE FUNDRAISER. Iowa FFA Enrichment Center, Ankeny, IA. Features black tie gala with high-end merchandise and 100+ FFA officers and business owners coming together to promote the future of the Future Farmers of America. MARCH 24, 2018. 10 AM. BYFORD HEINIGER FARM MACHINERY AUCTION.2448 U.S. Hwy 36, Sabetha, Ks. Six collectible & working tractors (all shedded), IH parts, 3 vehicles, farm machinery lineup, livestock equipment, tools & collectibles. Working with Ash Realty & Auctions. JUNE 14, 2018. 5 PM. FFA SUMMER FUNDRAISING AGRIBUSINESS AUCTION. Ankeny, IA Golf Course Club House. Ankeny, IA. A huge lineup of live auction events wraps up a fun day of golf for more than 100 participants and business executives. AUGUST 28 & 29, 2018. FARM PROGRESS SHOW ANNUAL TITAN TIRE (& more) AUCTION. 1827 217th Street, Boone, IA. We are once again honored to serve as the Auction Company for the world's largest agricultural show. This auction features the sale of more than $300,000 worth of farm and off-road tires donated by Titan Tire. Proceeds go to Iowa Future Farmers of America. Time to be announced. 2-DAY ELEGANT & HUGE ESTATE AUCTION 2 LOCATIONS, 2 DAYS, 2 SALES FRIDAY, SEPTEMBER 14. HOLIDAY INN OF ROCK ISLAND, 226 17TH STREET, ROCK ISLAND, IL. GRAND BALLROOM. (DOORS OPEN AT 3:30 pM, AUCTION AT 5 PM). SATURDAY, SEPTEMBER 15. 1063 29TH STREET, MOLINE, IL 61265. DOORS OPEN AT 8:30 AM, AUCTION AT 10 AM. See Inventory immediately below to see what sells on each day. Do NOT miss this auction! OCTOBER 13, 2018. ARROWHEAD ROUNDUP AUTO AUCTION & FALL FEST. (time TBD.) 12200 104th Street, Coal Valley, IL 61240. Long line-up of vehicles, including cars, vans, trucks to be sold with no reserve. All proceeds go to Arrowhead Ranch. Join in for an entire day of fun at FallFest activities. OCTOBER 27, 2018. ROCK ISLAND POLICE DEPT. BICYCLE AUCTION. Rock Island, IL Police Department parking lot. Huge lineup of recovered bicycles. Registration at 8 am. Auction at 9 am. NOVEMBER 10, 2018. 2-ESTATE AUCTION from IL and IA. (10 am) "The Rock", Coal Valley, IL 61240. Joining the Bloomberg Auction team today to handle two great estates. See Bloomberg Auction for terms and conditions as well as a great inventory lineup. COMING SOON: LARGE OFFICE SUPPLY LIQUIDATION, PERSONAL ESTATE AUCTIONS. DATES BEING DETERMINED. INVENTORY & PHOTOS ARE POSTED AT WALNUTCREEKAUCTIONCOMPANY.COM AND INVENTORY IS REPEATED AUCTIONZIP.COM UNDER WALNUT CREEK AUCTION. Stay tuned to www.walnutcreekauction.com for photos and inventory. We consign single items to entire estates. Ask how we can convert your unwanted assets into cash. © 2012 Walnut Creek Auction Company. All rights reserved.